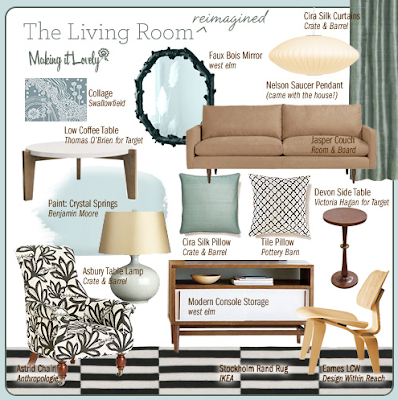 A fave site, Making It Lovely, shares her own living room as is and reimagined. I love how she really thought of all the details - furniture, accessories and color palette. Try this idea in your own small space. Maybe cutting out your favorite pieces and creating your own creative collage for your next design overhaul. 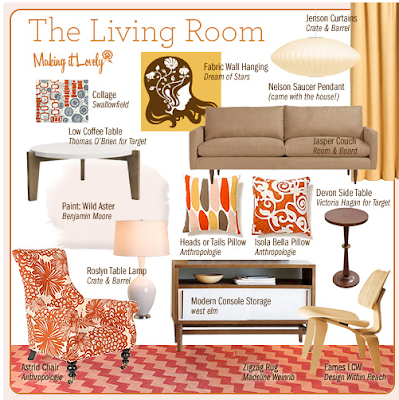 2 Responses to "THE LIVING ROOM, REIMAGINED"
I'm glad you enjoyed my (imagined) redesign!